Also, you can self-customize website’s arrangement with EM Framework which helps you to re-arrange blocks in few minutes by “drag & drop” feature. Very easy, very fast, and very flexible. This feature is supported in other extension that you will be impressed, Drag and Drop Mega Menu Builder. It maximizes levels and columns and helps store owners to add links, image, and more content into main menu. 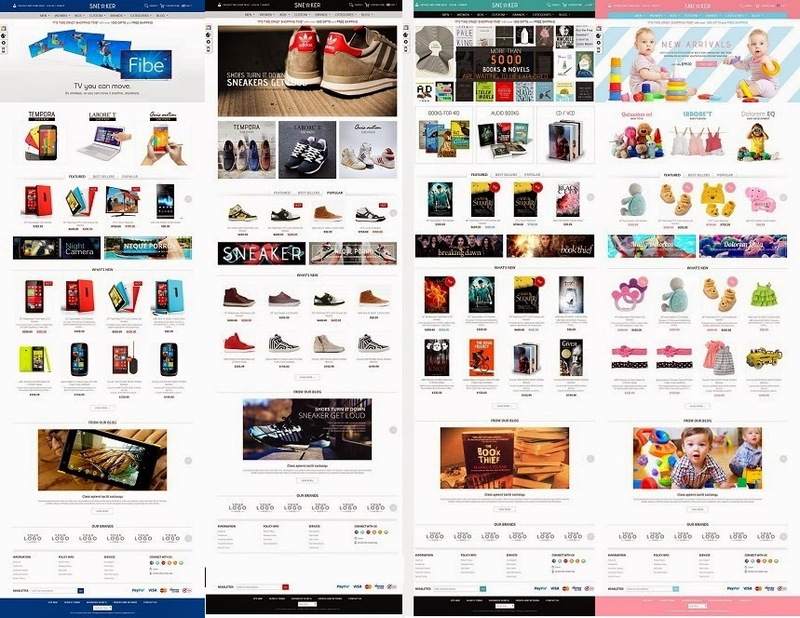 Product widgets, Extra footer, Carousel Effect, Slideshow, and many more modules are essentials to be a successful eCommerce business. 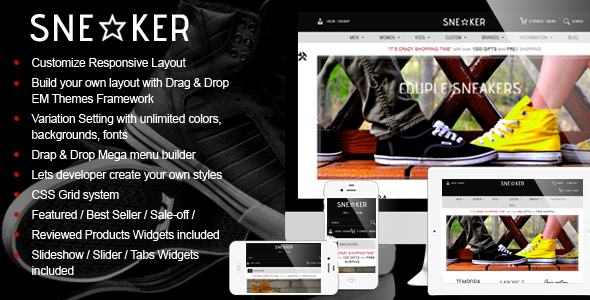 Item Reviewed: New Multipurpose Responsive Magento Theme 9 out of 10 based on 10 ratings. 9 user reviews.